Bha fior dheagh thuras agam an-dè a’ bruidhinn aig an fhèis bhig litreachais a chaidh a chumail aig Oilthigh Ghlaschu. 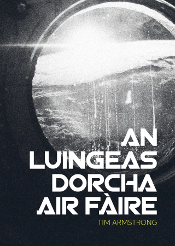 B’ e tachartas litreachais car eadar-dhealaichte a bh’ ann dhomh, anns an t-seagh ’s nach robh mi a’ bruidhinn cus mun fhicsean agam fhìn, ach na àite, a’ bruidhinn ri buidheann de luchd-ionnsachaidh air leughadh agus sgrìobhadh mar dhòigh ionnsachaidh, agus cuideachd, rud beag mu na beachdan agam mun nobhail Ghàidhlig mar iomairt. Bha mi a’ cur argamaid reusanta dàna air adhart, nach miste luchd-ionnsachaidh amas gu h-àrd agus smaoineachadh air sgrìobhadh nobhail anns a’ Ghàidhlig mar cheann-ùidhe, mar dhòigh dhaibh a bhith a’ gabhail sealbh pearsanta air a’ chànan ùr aca, agus mar dhòigh a bhith a’ ruigsinn àrd-fhileantas. 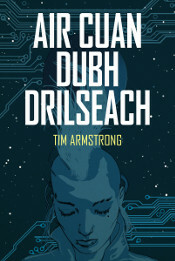 Tha mi an dòchas nach do mheas iad gun robh mi as mo rian, ach ma mheas, bha iad tuilleadh is modhail a ràdh. 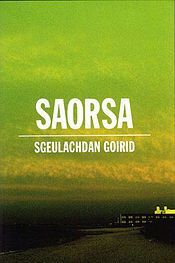 Chaidh a’ bhùth-obrach a chumail ann an togalach na Gàidhlig aig an oilthigh, ann an seòmar beag seasgair, le langasaid agus cathraichean cofhurtail dhuinn. Bha e uile gu lèir taitneach agus tha mi gu mòr an comain Shelagh Chaimbeul agus Abigail Lightbody a chur an tachartas air dòigh.